Former Finance Minister Ignatius Chombo, who is facing a litany of corruption charges, on Friday applied for the relaxation of his bail conditions since he is now a full-time farmer. Through his defence counsel Professor Lovemore Madhuku, Chombo said he was not reappointed to Cabinet and is now a full-time farmer. Prof Madhuku added that this was a drastic change of circumstances and his client had a constitutional right to keep his life intact and fend for his family. Early December last year, High Court judge Justice Edith Mushore granted Chombo $5 000 bail coupled with stringent conditions. He was ordered to report three times a day at Marlborough Police Station between 6am and 10am, 12pm-2pm and 4pm-6pm. Chombo was also required to surrender his travel documents and title deeds to his Mount Pleasant house and not to interfere with State witnesses. He was prohibited from visiting the Local Government, Public Works and National Housing Ministry offices and the Reserve Bank of Zimbabwe until the matter is finalised. In his application, Prof Madhuku said at the time of his bail hearing, Chombo had vacated offices as a Cabinet minister by operation of law. "He was not reappointed to Cabinet," he said. "He now depends on his farming on a full-time basis. His farm is in Raffingora. "His health has deteriorated. Because of his current bail condition, he was unable to undergo his annual comprehensive medical check-up outside the country. "May his bail conditions be varied to reporting once a day from Monday to Friday at Marlborough Police Station?" Harare magistrate Ms Josephine Sande adjourned the matter to today for ruling. 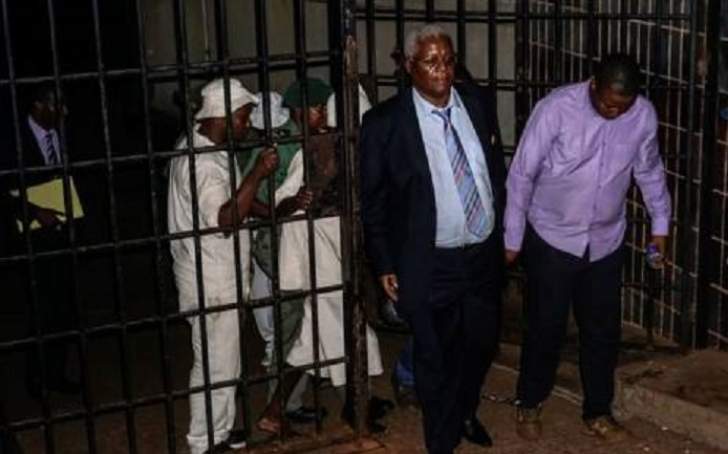 Among serious charges, Chombo is facing are violating Section 4(a) of the Prevention of Corruption Act (Chapter 9:16) by allegedly conniving with Psychology Chiwanga, Rejoice Pazvakavambwa, Iben Fransisco, James Chiyangwa, Theresa Chenjerayi, Elias Choto and Lazarus Chimba to forge documents used to transfer a Glen Lorne, Harare, property from the Harare City Council to Alois Chimeri. Chombo is also accused of allocating residential stands to illegal settlers at Whitecliff Farm in Harare before demanding and receiving a bribe of a 3 712 square metre stand from the landowner to remove them. The land owner, Eddies Pfugari Property Developers (Pvt) Ltd, lost property worth $200 million in the process. Chombo also appeared in court together with former Zanu-PF youth leaders Kudzanai Chipanga and Innocent Hamandishe for wearing party regalia emblazoned with President Emmerson Mnangagwa's initials.